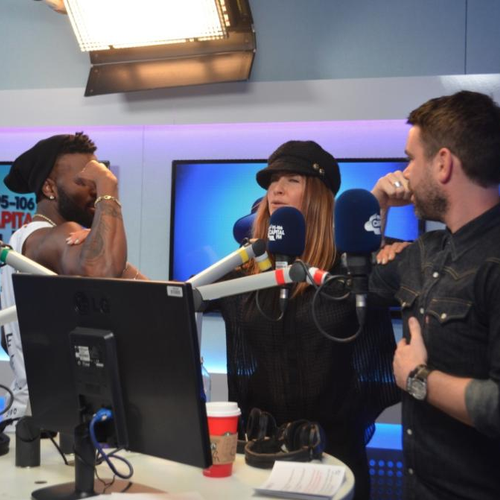 LISTEN: Jason Derulo Answers The BIG Question…Will He Take His Top Off At The #CapitalJBB? The ‘Want To Want Me’ star hits the stage later today and he’s feeling VERY pumped for it. We caught up with Jason Derulo with just HOURS to go before he hits the stage for Capital’s Jingle Bell Ball With Coca-Cola and there was just ONE big questions on our minds! Yes - it’s something Jason’s definitely been asked a few times - will he treat the 16,000 screaming fans to a striptease and whip off that top of his in his trademark Derulo style? Erm... yeah, we can see that Jason judging from your latest Instagram snaps! So be prepared #CapitalJBB goers... it looks like Jason's been working out JUST for you!